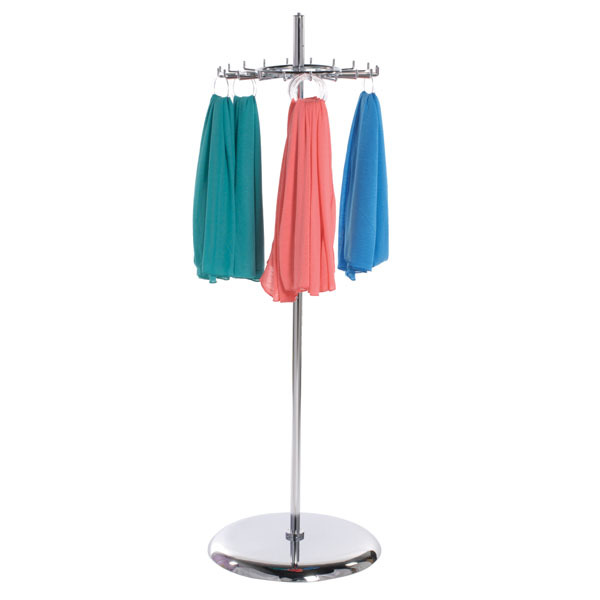 Display your scarves or shawls neatly with the Revolving Scarf Display Rack. Or, use this display to highlight your selection of belts, ties, handbags, and more! Twenty 3 1/2 in. long hooks on a rotating tier. Revolving rack allows customers easy access to merchandise. Tier features threaded fitting to add a sign holder, search threaded sign holders. Scarf and shawl rings sold separately, search item 5098.